Accounting and business consulting firm located in Brisbane, FURM Group offers business planning & advisory, digital consulting, business computing, virtual accounting, payroll, GST Returns and more. FURM Group is a professional accounting and consulting boutique in Brisbane catering range of services to the start-up, non-profit and small to medium business sectors. We are committed to helping entrepreneurs, businesses, ideas & causes achieve their fullest potential. At FURM Group, we have a team of highly qualified and professional staff who are extremely passionate in their field, ensuring the satisfaction of all our clients. In addition to building businesses & brands, we love to build new & long lasting relationships so feel free to connect with us. 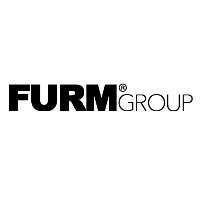 For more information on any of our services, contact FURM Group today!